Continuent is pleased to announce that Tungsten Clustering 5.3.6 and Tungsten Replicator 5.3.6 are now available! Our 5.3.6 release fixes a number of bugs and has been released to improve stability. 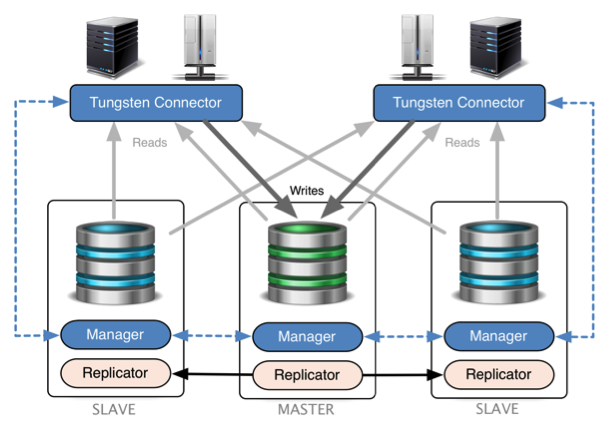 Continuent is pleased to announce that Tungsten Clustering 6.0.4 and Tungsten Replicator 6.0.4 are now available! Our v6.0.4 release fixes a number of bugs and introduces some new features, with improvements across the board in a variety of different components. When installing from an RPM, the installation would automatically restart the Connector during the installation. This behavior can now be controlled by setting the parameter --no-connectors within the configuration to prevent tpm from restarting the Connectors during the automated update processing.